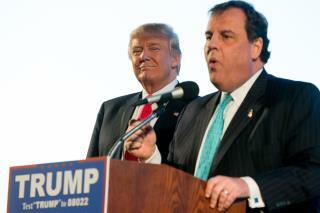 (Newser) – It's not just this New Hampshire newspaper that's fed up with Chris Christie after he endorsed Donald Trump for president: Six New Jersey papers issued a joint editorial Tuesday calling for Christie to step down as governor of the state, the Hill reports. "What an embarrassment. What an utter disgrace," reads the editorial from the Asbury Park Press, the Cherry Hill Courier-Post, the Morristown Daily Record, and others that are part of Gannett's USA Today Network. The editorial calls Christie out not just for his endorsement of Trump but for his "arrogance," "opportunism," "hypocrisy," "sarcasm," and "his long neglect of the state," which includes quite a bit of travel "on New Jersey's dime" as he campaigned for president and now as he campaigns for Trump. This holds true for asswipe Ted Cruz as well. "What an embarrassment. What an utter disgrace." Way to Governor Christie! Tell those Commie rags to screw themselves. They just want to take down a duly elected governor with a coup of sorts. That's what the libs do! If they can't win fair and square they will use any means possible to thwart the will of the people to advance their power trips. Remember Gov. Scott Walker? You want to remove Christie? Wait till the next election cycle and do it the American way! The Asbury Park Press is the only news paper in the list that has any influence. The other papers listed are barely on the radar.